When a patient needs a dental implant to replace teeth, it must be placed in precise orientation and position to accommodate anatomical and esthetic restorative demands. Dr. Gelman uses 3 dimensional modeling of the jaw and teeth to plan the procedure. 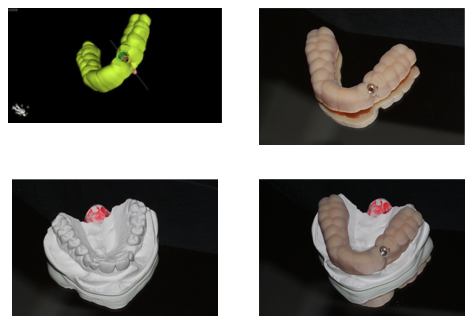 Based on the computer modeled procedure, we use 3-dimensional printed guides to replicate the procedure in the mouth. This ensures the most accurate implant placement and ideal restorative outcomes. Spending time and using technology to plan the procedure in this detail shortens the actual procedure and improves patient comfort. If you need an implant or multiple implants, this is the most sophisticated approach and we are proud to offer it.